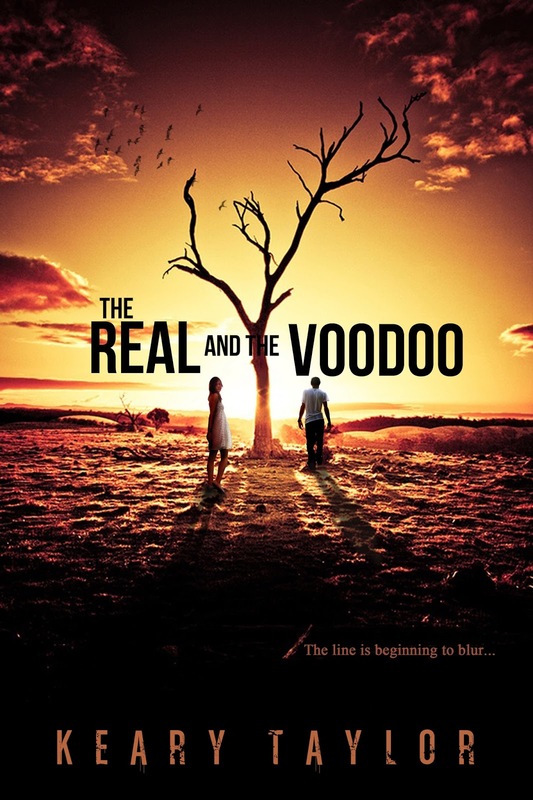 Once upon a time, HOUSE OF ROYALS started out as a very different story titled THE REAL AND THE VOODOO. It was still set in Mississippi, but instead of being set in Silent Bend, it took place in two towns, Victory Bend and the small farming outskirt of Silent Fields. Instead of being a new adult, it was a young adult, and focused on a 17 year old girl named Holt who moves in with her grandmother after her parents disappear. While navigating the perils of moving to a new place and dealing with mean kids who look at her weird because her grandmother practices voodoo, her path crosses with Dean Wakefield. And those kids avoid him even more than they avoid Holt. Because there's something that's just not quite right about Dean. He's dark, and not just the color of his skin. As Holt and Dean's paths continue to cross, she can't help but notice the hatred he seems to hold toward her, in the same breath he can't seem to look away from each other. After much persuasion, she finally gets him to confess: his family has practiced hoodoo for a long time, and Holt's family has stolen some very important books from his family. There's been a blood feud going on between the two families for decades. They should stay away from each other, but can't. And it doesn't help when the House of Royals takes an interest in Holt, and the darkness that is growing around her like shield of power every day. They want to make her one of them, and King will stop at nothing to win her over and bring her into the fold. For she is the one and only person with the ability to access the Hoodoo Archive, hidden on the family property. I started writing this book a long time ago. I took a research trip out to Mississippi, spent some time in New Orleans visiting voodoo shops, taking some interesting and dark tours, and visited the tomb of Marie Laveau. I got 40,000 words into the first draft. I just couldn't seem to move forward. My brain just had this block, even though I knew exactly where the plot was going to go. So I set it aside for a while. I wrote the entire McCain Saga. And when that was done, I picked THE REAL AND THE VOODOO back up. I realized there were some changes I wanted to make in it, so I started from the beginning once more, and again, wrote 40,000 words of it, roughly 1/3 of the book, and then found myself stuck once again. I knew where the book should go. But whenever I sat down to write it, I got this tightness in my chest. My brain would draw a blank. My fingers wouldn't move over the keyboard. I had a dream once, and I don't remember the specifics, but in it, I knew that something bad would happen if I finished the book. And I finally knew, I couldn't write the rest of this book. 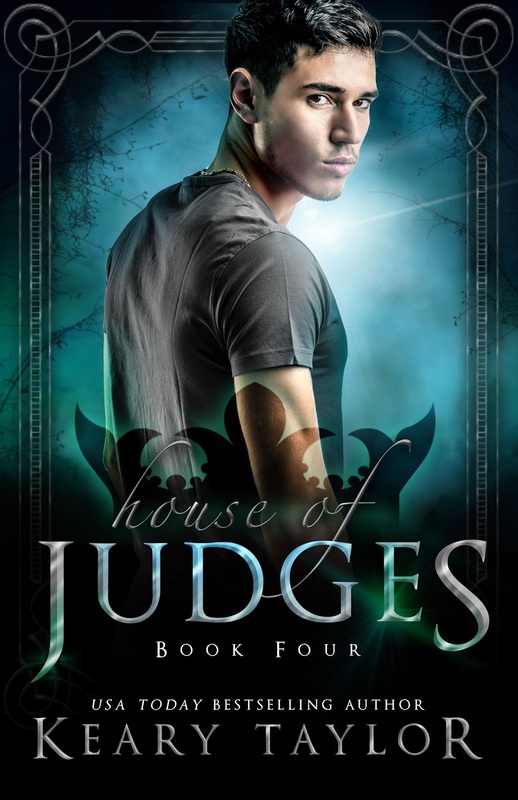 Which was really devastating, because I loved this book and I was excited about it, and I had 4 books in the series planned. So I took a break. I wrote about 20,000 words of a project I knew wouldn't sell well, while I came up with an idea for something I knew would sell. 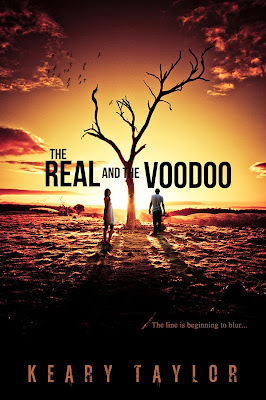 And then one night, while insomnia was being my dark companion, I had the idea to adapt THE REAL AND THE VOODOO for vampires. I kind of laughed at myself, because the idea was just silly. VAMPIRES? And how would that translate well? Well, the House of Royals was quite a small part of the Voodoo version of this story, but it had the basis to make an entire series on. And King, oh how I loved King in Voodoo, he had potential to morph into a MUCH bigger character - King Cyrus. And Holt. Holt, oh Holt. I think you were the biggest part of why I couldn't write the Voodoo version. You were so, so very dark. So broken and twisted, that even Dean wasn't quite enough, with his dark control on hoodoo, to bring you back to a character that readers wouldn't cringe away from and call a villain to the very end. So Alivia was born. 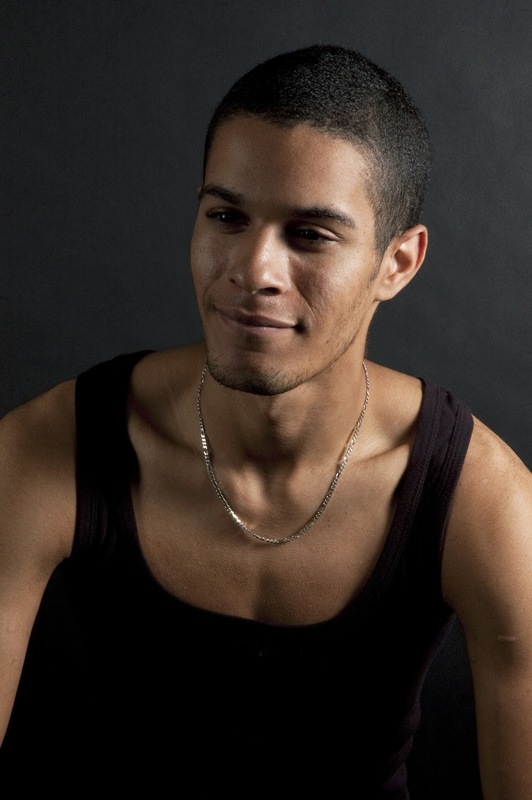 The much less twisted, much stronger and loving version of Holt. And Ian came about, someone who hated the supernatural, but still couldn't fight it as it was in his very blood. He, he was strong enough to save Alivia, if only he could save himself. 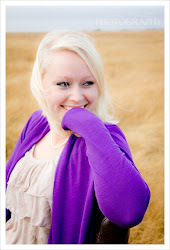 Elle evolved from a little, empty nine year old child, into a stoic, brilliant 16 year old sister. And the HOUSE OF ROYALS was born. It morphed into its own story so, so quickly, because I had so many base elements already figured out from a very different version of this story. A certain mother. A poison garden. The manipulation and the lies. So this alternate version of the story exists in my head. 40,000 words of it sit on my laptop, never to be completed, because there is power in the written word. Those words, those versions of the characters stay there, safe. But I love this story. Love Holt and Dean. And I wanted to share just a tiny bit of their untold story. I am headed back to my spot at the end of the hall at lunch when someone grabs me from the side and suddenly I am pulled into a girls bathroom. I’m roughly shoved against the wall and the door was pushed closed and locked. Holt stands in front of me, one hand pushed hard against my chest, pinning me to the wall. Her other hand hands in a fist at her side. Her eyes were wide, hard, but more terrified than I’ve ever seen her. “Is what real?” I ask, my brows furrowing. “What are you talking about?” I defer. I try shifting, my backpack pressing painfully into my back. Holt just shoves me hard against the wall, not willing to let me move an inch. “You know what I’m talking about,” she hisses. “I found this book that said things, things that sounded crazy, and impossible. 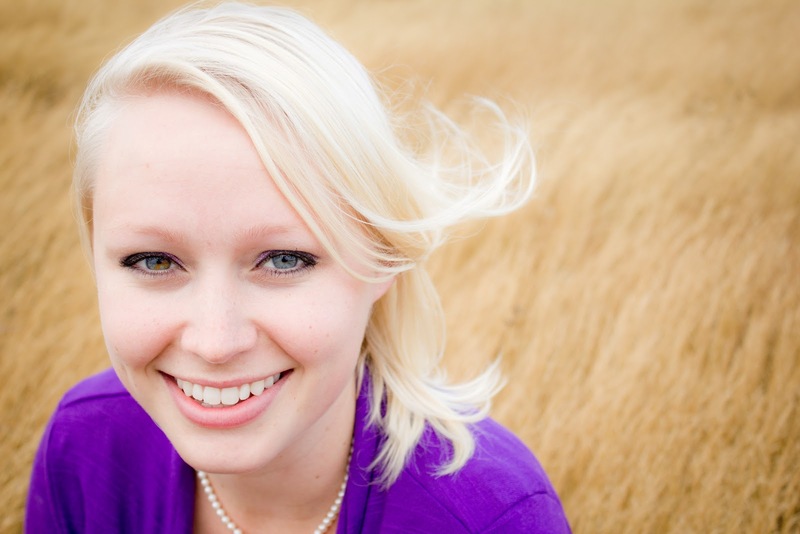 But I did one of them, and it worked.” She is speaking through clenched teeth. “What happened to him?” I ask, my voice quiet and low. She walks away from me suddenly, crossing to the sinks and bracing her hands on the counter. She looks at herself in the mirror. She looks tired, she looks scared. I curse under my breath, standing up straight. Holt and I have been like two orbiting comets. We’ve been circling each other the past three and a half weeks. We both have heavy gravitational pulls with all the history behind us, with the bloodlines we do have. Eventually we were bound to crash in to each other. “I’m not terrified,” she says. But her voice shakes. She continues to stare at me in the mirror, her shoulders shaking as she takes deep, raspy sounding breaths. I see something change in her eyes, a heat that wasn’t there before. Nothing about this is right or fair. Holt doesn’t belong in my world and she doesn’t deserve to have her parents taken away. She doesn’t deserve to be this afraid of everything. I step closer, so that I am standing just behind her, looking over her shoulder. I let my eyes fall to her shoulder, exposed under her thin tank top. Her skin is smooth and just the perfect shade of tan and quarter black. I let my eyes slide up her neck, exposed under her always braided hair. “You don’t deserve to be this afraid,” I say quietly. “I’m not afraid of you,” she says in a quivering breath. “Yes you are,” I say, feeling sick at the statement. “But I don’t want you to be.” I meet her eyes again in the mirror. She slowly turns to face me, her eyes dropping. But there is a heat that comes off of her that intoxicates me. I hesitantly raise my hand to touch her jaw. “I’m supposed to stay away from you,” she whispers. “And I’m supposed to stay away from you.” I lean in closer, my forehead just barely brushing hers. “But I don’t want to stay away,” the words were barely audible. 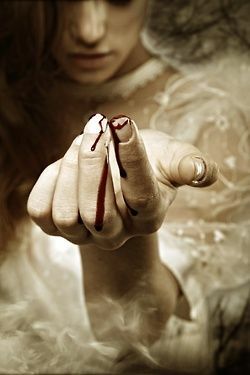 That hot, primal thing inside of me grows, raging up and lighting me from the inside out. 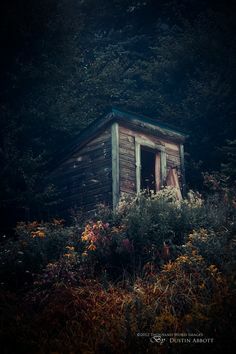 “Is anyone in there?” someone calls, knocking loudly on the door. Holt jerks away from me, her eyes suddenly clearing, growing cold and confused. She doesn’t say a word as she goes to the door and opens it. A freshman girl looks startled to see the two of us inside and blushes a harsh red as Holt bolts down the hall. 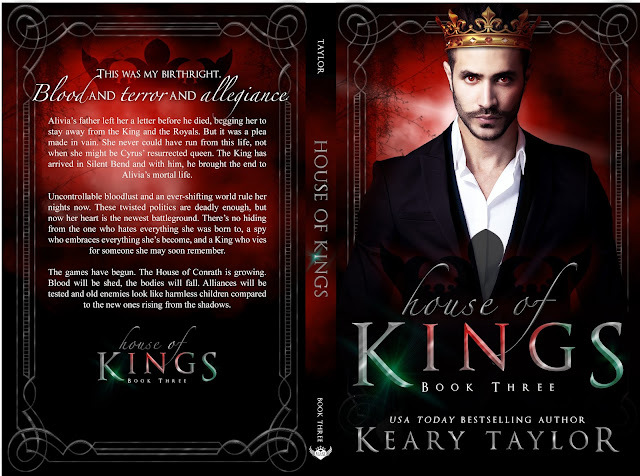 House of Kings Facelift - And a Giveaway! 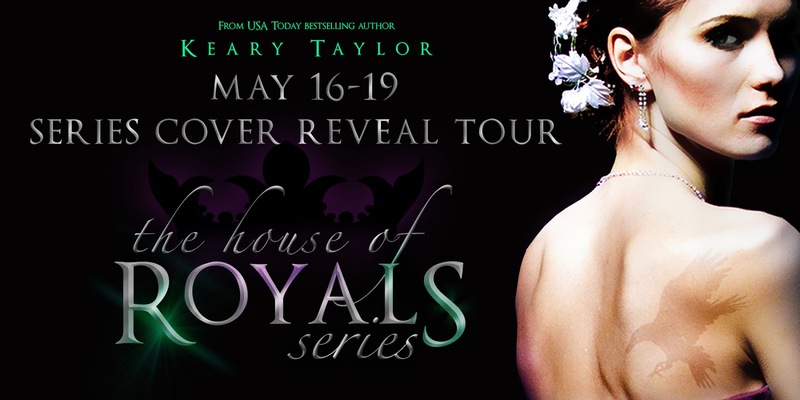 The House of Royals series is getting a facelift! Stay tuned over the next few days, as we explore each of the first four books in The House of Royals series. 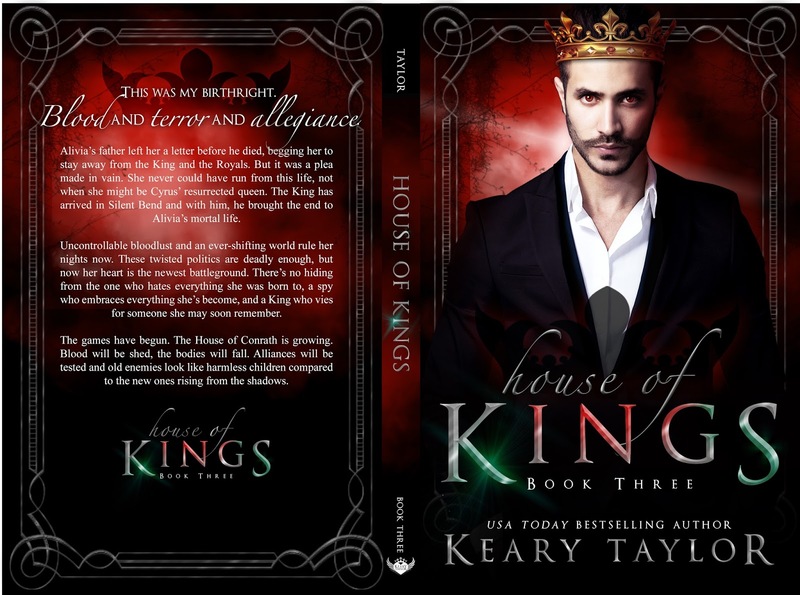 There will be an excerpt from each book and prizes to win, including a Keary Taylor eBook of your choice, a signed Keary Taylor paperback of your choice, and two Amazon gift cards! The new HOUSE OF KINGS cover is here! 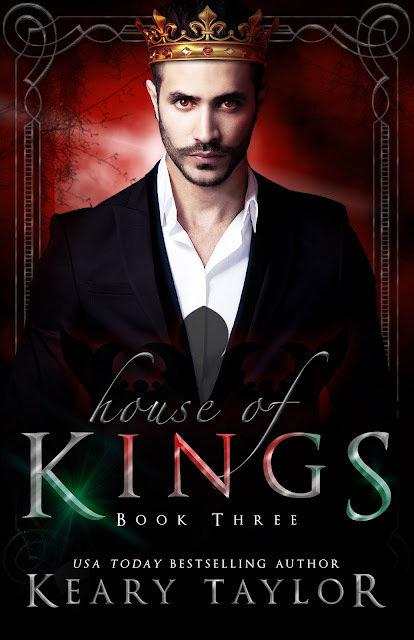 HOUSE OF KINGS is available for download for only $3.99! The details blur away and whoever it is doesn’t get a second to scream before my fangs sink into a soft neck. They go numb and I grab them tightly to keep them from collapsing to the dirty, cold floor. But his words are background noise. I pull. One long drink after another. 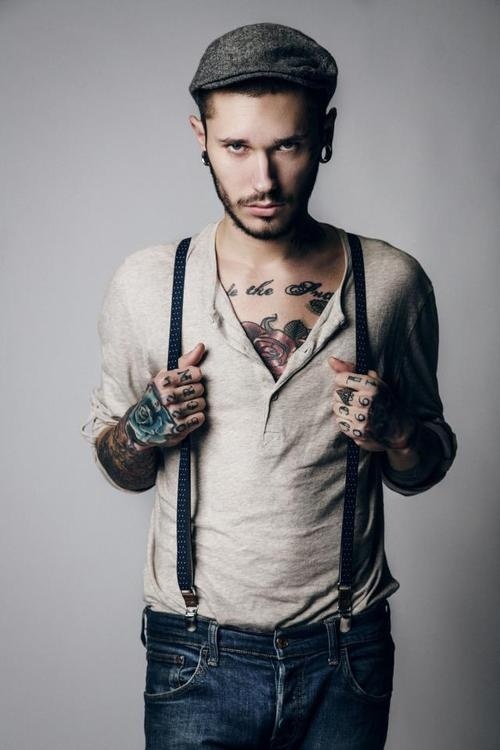 “And you certainly have picked a beautiful specimen,” Cyrus says approvingly. He walks around the two of us. And as my belly fills with the blood of this person, the heady fog fades from my brain. I feel my animalistic side begin to ebb. The predator is satisfied. And the humanity in me returns once more. My fangs instantly retract. The individual I’m holding onto collapses to the ground as I let go and take five horrified steps away. It’s a woman. She’s young, probably no more than a year or two older than myself. Her eyes are closed, blood running down her neck from the two puncture wounds. Her face is beautiful yet intimidating. Harsh cheekbones, a square, sharp jawline. Long brunette hair, lighter than my own, falls around her in soft waves. But my eyes stay staring at the woman, wide and horrified. This is my third victim. And I can’t seem to help it. My thirst takes over and I kill. I watch as all the color leaves the woman’s face, she grows white and her lips look blue.